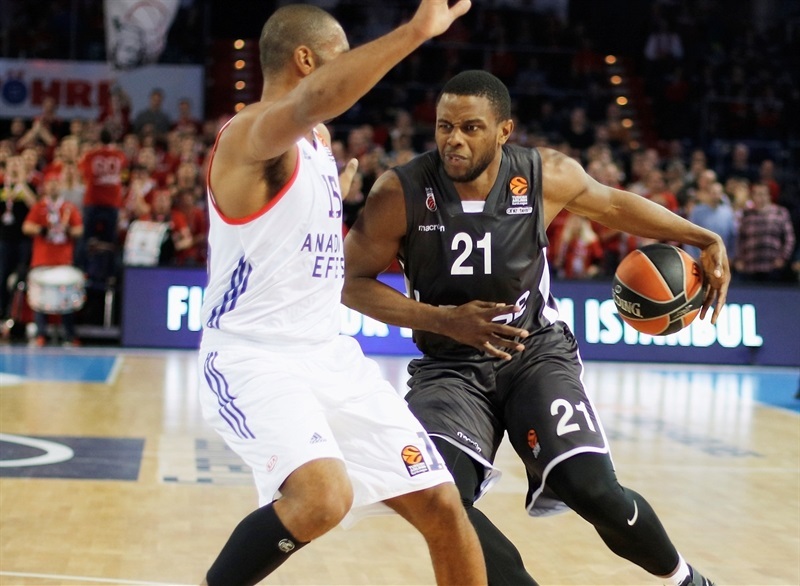 Brose Bamberg grabbed its second consecutive win by downing Anadolu Efes Istanbul 91-83 at home on Thursday. 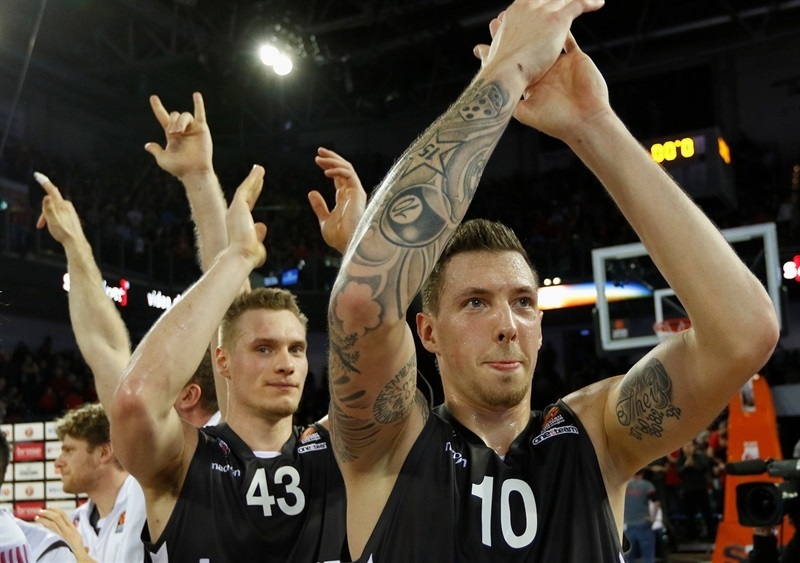 Bamberg improved to 4-8 in the standings while Efes dropped to 6-6. 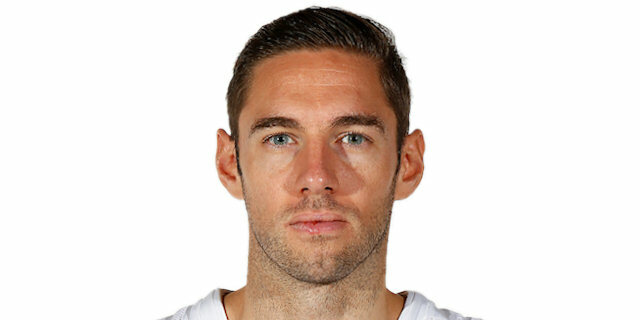 Fabien Causeur paced the winners with 28 points - a new EuroLeague career-high - on 8-of-9 two-point shooting and 3-of-5 three-pointers. Darius Miller added 17 points, Janis Strelnieks had 12 and Nicolo Melli scored 11 for Bamberg. Jayson Granger led Efes with 23 points, Derrick Brown collected 18 points and 11 rebounds, Tyler Honeycutt scored 17 points and Thomas Heurtel 13 for the guests. Bamberg excelled inside the arc, hitting 27 of 44 shots (61.4%). 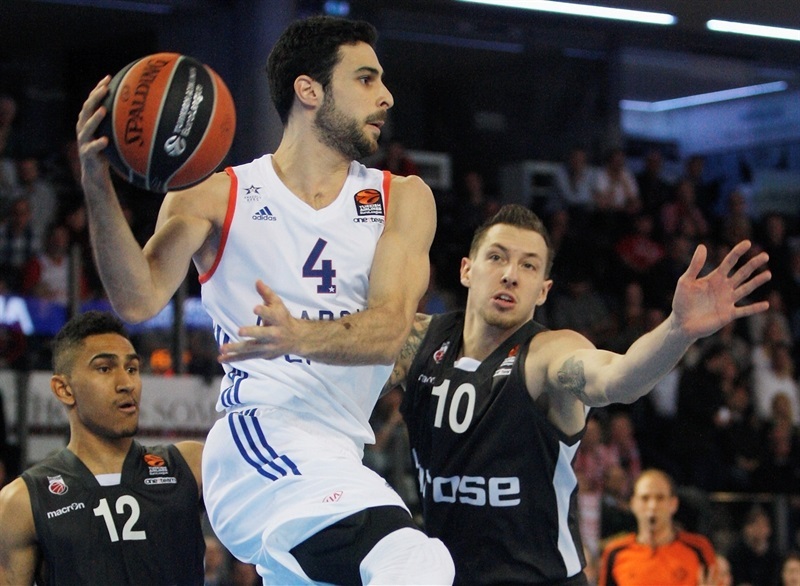 The hosts outrebounded Efes 35-28 and dished 19 assists with just 10 turnovers. Granger got Efes going with consecutive three-pointers and Bryant Dunston added a layup for a 2-8 lead. Strelnieks and Causeur combined for all the points in a 7-0 run that gave Bamberg its first lead, 9-8. 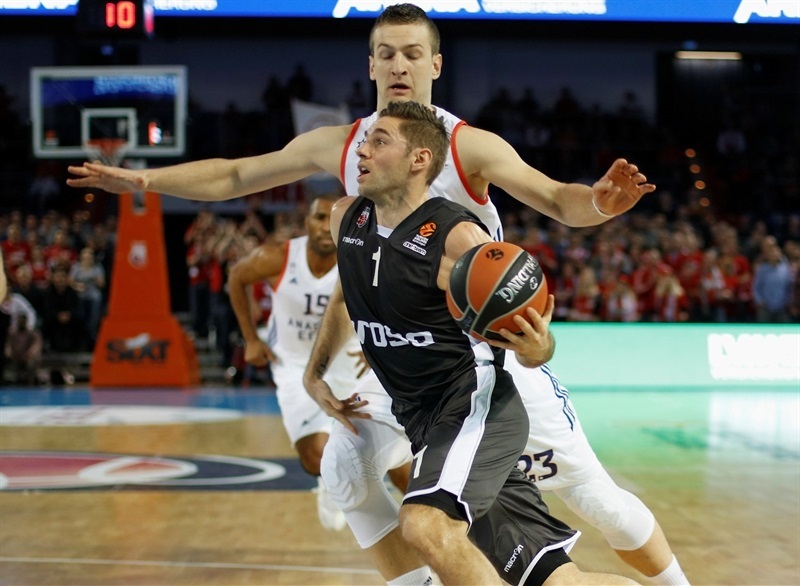 Granger kept pacing Efes, but a triple by Strelnieks and a layup-plus-foul by Causeur kept Bamberg in charge, 15-12. Bamberg found new options on offense, as Melli and Nikos Zisis forced Efes to call timeout at 23-16. A reverse layup by Brown, a huge dunk by Honeycutt and a basket by Granger brought the guests within 23-22 after 10 minutes. 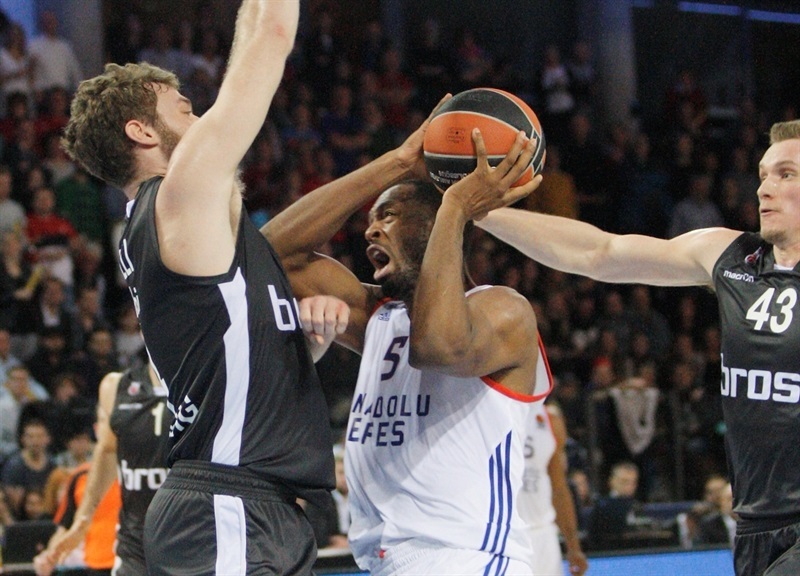 Free throws by Granger and a triple by Honeycutt gave Efes a 25-27 edge early in the second quarter. Brown found DeShaun Thomas for a fast break layup and added a three-point play for a 27-32 advantage. Causeur stepped up for Bamberg and a three-point play by Strelnieks put the hosts back in charge at 37-36. 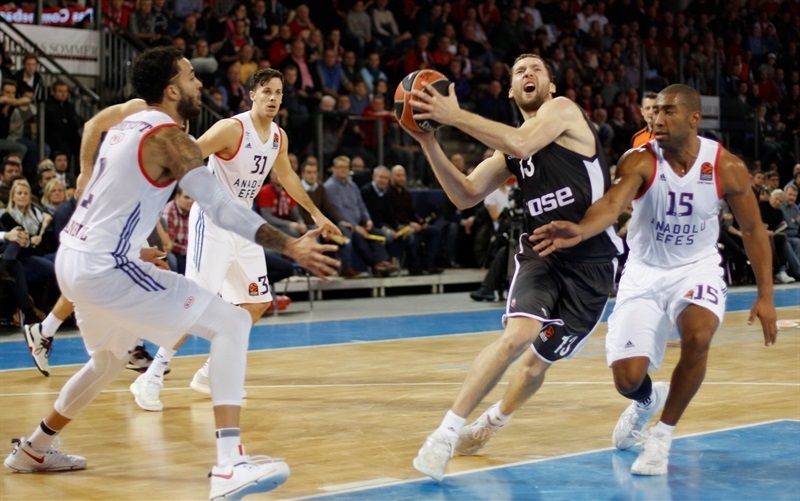 Causeur remained unstoppable and a three-pointers by Miller and Zisis gave their team a 48-41 edge at halftime. Back-to-back jumper by Melli and Miller made it a double-digit game, 52-41, soon after the break. 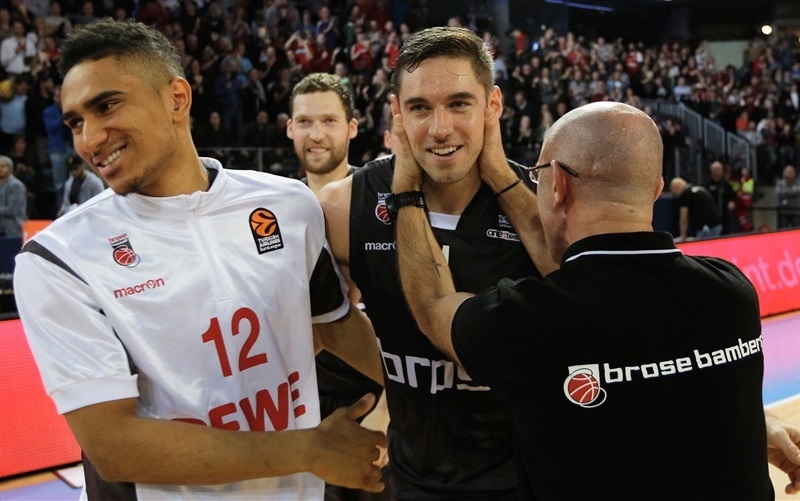 Brown followed a jumper with a dunk, but Miller and an unstoppable Causeur kept Bamberg in control at 61-51. 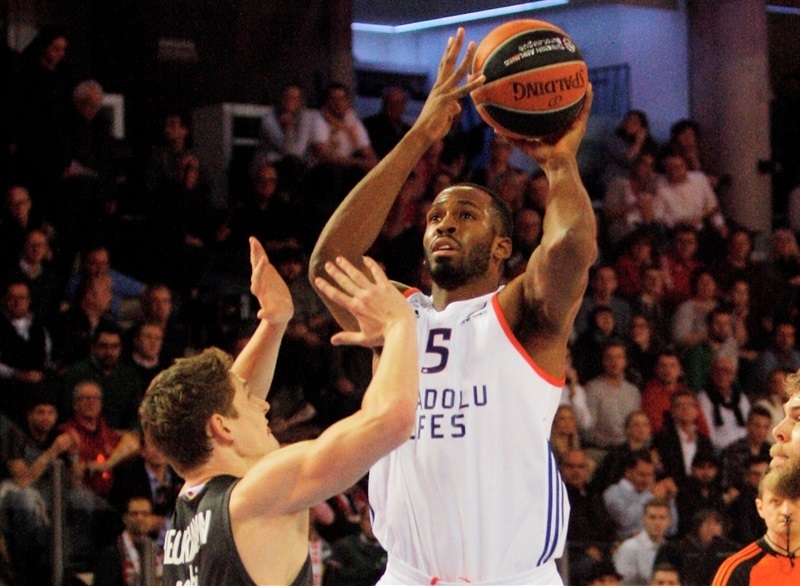 Granger and Brown each hit one from beyond the arc to bring Efes back to life, 63-59. Causeur followed a triple with a layup off a steal and Lucca Staiger struck from downtown to give the hosts fresh air, 71-64, after 30 minutes. 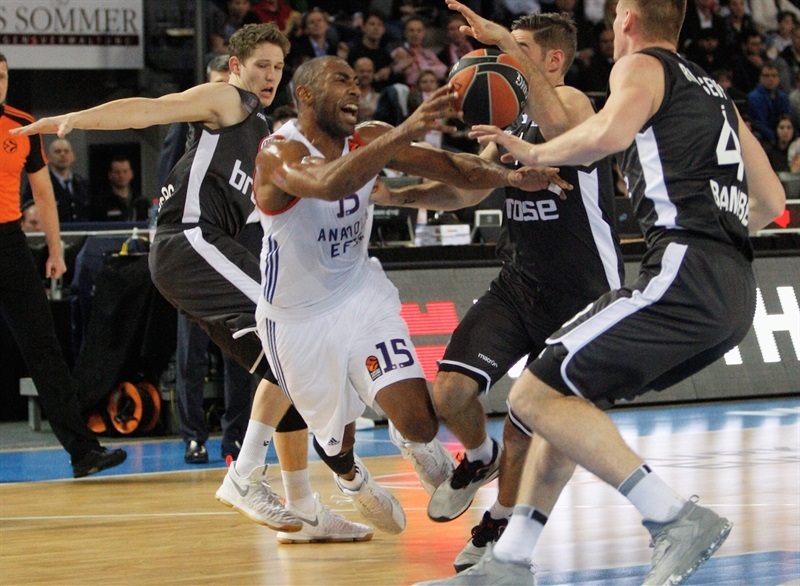 Thomas and Brown tried to bring Efes closer, but Strelnieks kept full control of the game. 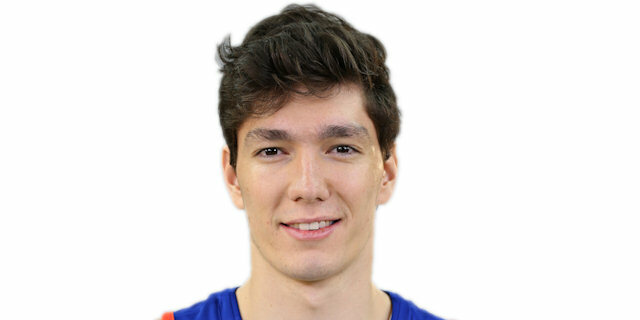 A layup by Leon Radosevic made it a 9-point game, but Cedi Osman and Heurtel managed to get Efes within 82-79 with 2:31 to go. Zisis split free throws and fed Melli for a corner triple that sealed the outcome, 86-79. 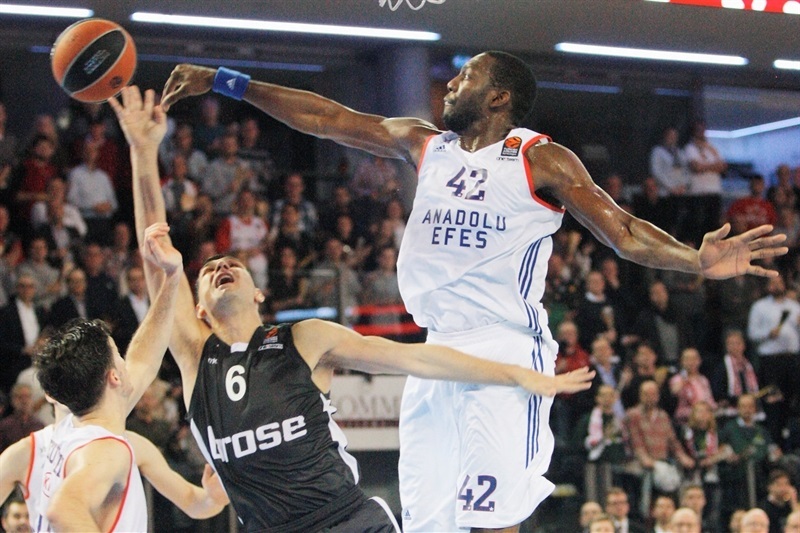 Efes never gave up, but Bamberg moved the ball and held on to win. "Being in this game, my memories went back to last year. We played a great game here in Nuremberg, a great arena, but we lost. It was an amazing ball game last year against Real Madrid, but we lost. Tonight, it was another amazing ball game. We played a very, very consistent game and finally, we can say that we won in Nuremberg. I believe it was one of our best games for consistency and physical impact. 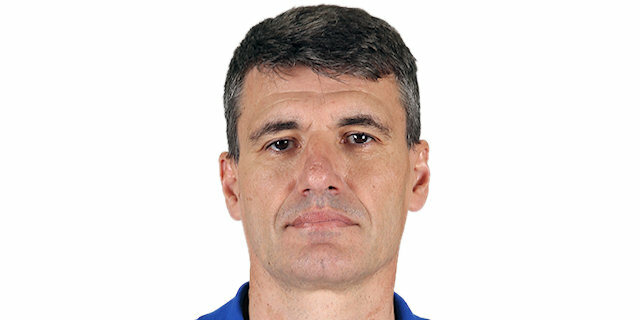 Efes is the most athletic team in the EuroLeague. They have size, athletes and tonight, we tied their energy and that was the first key of the game. The second key was that we played stable expect two, three minutes in the end of the first quarter and the beginning of the second quarter. We played stable for a whole game, moved the ball and everybody was ready. The picture of the game is Staiger, coming out of the freezer ready to make his shot in that moment. These are very important things for a coach. I really have to say 'bravo' to my guys because at the end of the day, players make plays, so the credit goes to the team, to our effort and to my players." "First of all, congratulations to Bamberg, they deserved this victory. They played better and the result is a product of this better game. I think that all game we had problems giving away easy baskets. 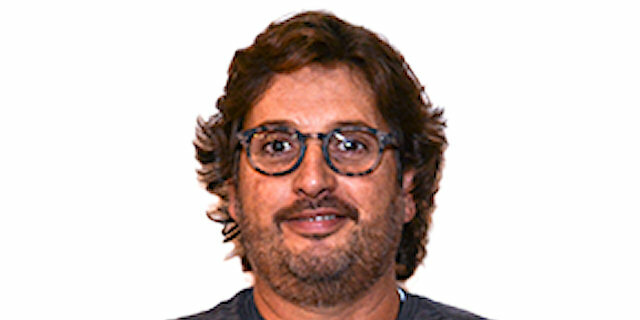 They had a great two-point shooting percentage and broke us many times after the pick-and-roll in one-on-one situations, scoring layups with great percentages. This was a problem all game long against Bamberg. In other numbers we were close - turnovers, steals, rebounds - but their two-point shooting percentage was very high and that was the key to their victory." "We played a really solid game, with energy, which was really important against a team like Efes. I think we passed well the ball in the second half, fought until the end and our fans was great, it was a really good night. It is our second consecutive win; it means we are here!" "We actually started well in the first quarter and then, we lost some balls and let them score easy points. They got the lead, I think it was 7 or 8 points at halftime. We came back in the fourth quarter, but let them rebound and a three-point shot by Melli sealed the outcome. We need to continue to improve our game."